If you'd have said to me 2 years ago that on a freezing cold Sunday morning in March I'd be getting up extra early to go and take part in a race around Longleat Safari Park I would have phoned for an ambulance thinking you were ill. How things change in such a short space of time because that's exactly what I did. At last the day had arrived for me to run my first ever Half Marathon. It turns out however that getting up extra early wasn't absolutely necessary as I only live 40 minutes away from the park and the race didn't start until 0845 hrs! But still, I was up at just before 0600 hrs to get some hot coffee and porridge in me before I set off. Now I keep using the word 'race' but in no way in my mind was I going to actually race against anyone but myself. I'd packed my kit the night before and checked (and doubled checked) that I hadn't forgot anything. 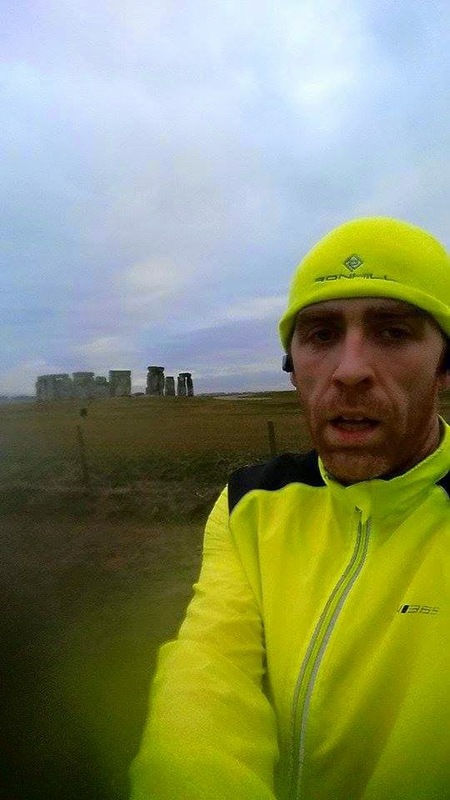 I was more nervous about forgetting an essential item of kit than actually running. I'd already ran my test 13 miles a couple of weeks before and had done so in 2.02.53 so the thought of running didn't make me nervous. Stupid things like, being late or forgetting my socks made me more nervous than anything. But I knew that everything was packed and ready so the nerves where in order. So bag packed, breakfast eaten and coffee drank I was ready for the off. 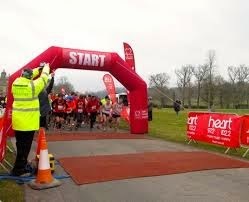 I arrived at Longleat a good hour before the start. The drive from the entrance to the actual start of the race took me down an enormous hill which on the way down I noticed a board with 'Mile 11' written on it. 2 things crossed my mind, 1) at least the finish was on a down hill and 2) but we have to get up the hill first. I had heard that the route was hilly and I had seen the route and the profile which did look like there were a few hefty inclines, but it was a 'cross that bridge' type scenario as hills are always going to play a part. I headed down to the car park and once parked made my way over to the 'registration area' even though I didn't need to register, I just wanted to get a look around and see what was going on. Glad I did really as I picked up my free t-shirt and some pins for my number. As there wasn't much to see I headed back to the car to stay warm as it was absolutely freezing. With about 20 minutes before the start I got into my kit, chucked a High 5 energy gel down my neck and headed over to the big red inflatable that was the start line. Amazingly and completely unintentionally, I had ended up right at the front of the pack which was nice but it was going to be last time I'd be anywhere near the front. The chap with the PA system was doing his up most to keep everyone entertained for the few minutes we had to wait, but to be brutally honest it was so cold that all I, and many around me, just wanted to get started. The countdown began from 5 and my heart rate started to race a little, 4 - I checked my Garmin was ready, 3 - last check of the number being secured on my vest, 2 - one last look at the long straight road ahead, 1 - fingers on the start button GO!!! I was off!! I had my targets, to finish and to finish in under 2 hours. The first 2 miles went by with no real problems but as the second mile started so did the hills! We were heading into the Safari Park itself and the first hill was a monster! It seemed to last forever and went on for at least a half mile, but it kept going up too. Thankfully it came to an end and swiftly dropped down hill into mile 3 at which point there was a most welcoming drinks station. I grabbed a bottle and took a few big swigs of water and started mile 3 which was obviously up hill. Again another steady mile or so passed mostly flat or downhill, however I'd started seeing some of the other runners coming back towards me up the hill I was running down. Either the lions had escaped and they were just running for their lives or there was a U-Turn coming up and mile 4 into 5 was going to be a killer up hill section again. Yep you guessed it the lions where safely tucked away and the marshal stood next to a cone was the indication that the U-Turn was indeed the way ahead and the hill was next on the route. Although the first half of the run had its, literal ups and downs, things had gone exceptionally well. The 10km mark was approaching and I was feeling really good, half way and I hit the lap button on my Garmin. Incredibly I had ran my fastest 10km ever 49.57, 4 minutes faster than ever before. This was a massive boost for me as now I had that 2 hour target well in sight. However, nothing could have prepared me for the second half of the race. As mile 7 began so did a hill that will live in the memory of my legs forever more! Now I don't mind a hill, they make you 'strong like bull' but nobody and I mean nobody likes a hill that lasts for 3 miles! It just kept going and not only in distance but up and up too! There was one small section, about half a mile, that wasn't uphill just before mile 8 and then it carried on up and up and up. I'm not going to lie between miles 9 and 10 I genuinely didn't think I was going to finish the race. My legs were absolutely hammered and the hill was sapping everything I had left. I was in so much pain, my hamstrings felt like they were going to snap. I had to slow my pace down just to get up the hill and keep my legs in tact. The mile 10 marker was approaching and all I could think of was the mile 11 board I had seen on my way into the park earlier that morning and the massive downhill it brought with it. Mile 10 turned left into the back of the park and along a small track and on towards the main entrance of the park that I had driven through earlier. There was a drinks station, thank god, I snatched a bottle of water and gulped down as much as I could. The main entrance approached and I knew the huge downhill was coming. My legs seemed to have an extra boost in them all of a sudden. I opened up my stride and got my pace back to 7.36 minute miles. As good as this was for my finish time the downhill I had been so looking forward to for the last 3 miles was punishing. It was so steep that I had to really open up my stride to have any control what so ever over my speed. My legs were pretty much dead and on autopilot I was trying everything not to tumble forward and smash my face on the road. The downhill leveled out and the finish line was on the left with Longleat House on the right. I could see the finish but I had about 2 miles to go and one of them was the same long straight that we had started on. Mind over matter now! I knew there was a tiny little climb coming but I just kept pushing and pushing. I got to the top of the little climb turned left and through the Arch Way and onto the long finish straight. Longleat House was now in front of me as was the large red inflatable with 'FINISH' slapped all over the top of it. I put everything I had left into that straight, but the line felt it was moving away from me. I just kept going my legs felt like they were no longer attached and I was running on pure adrenaline now. At the finish with my boy! Then I heard the PA system burst into life and the fella with the mic saying my name. I raised a finger in celebration as I hit the line as well as hitting the stop button on my Garmin. At first I didn't want to look and to be honest I didn't get a chance as I was handed a medal, a drink and a energy bar of some description. Then I heard one of my favorite sounds of all, 'Daddy!' There was my little boy running towards me with the biggest smile on his face. Just behind him was my wife holding a coffee which she handed to me and gave me a big hug at the same time. I had done it and my family were there to see it. I felt so happy and proud of what I had done so much so that I had completely forgotten to look at the time. It wasn't until my wife asked that I looked at my Garmin and seen a time of 1.53.47!!! Which was confirmed a very short time later via text as a chip time! I'd done it! I couldn't believe it. The pain I had gone through over the second half of the run had been worth it! I couldn't be happier! 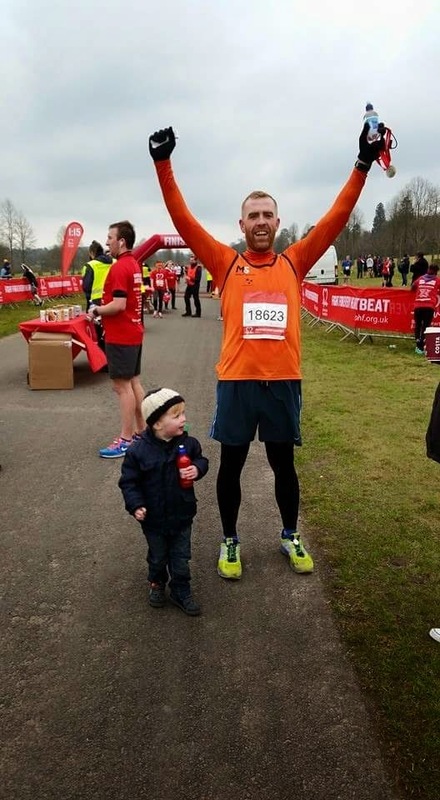 The race was run and I had smashed both my 10k and Half Marathon personal bests and my family were there to see it. I couldn't have been any happier. Now it was time to get changed and spend the rest of the day, as it was Mothers Day, in the park at a much slower pace! Only a week now until Challenge 4 so look out for that report coming soon. So at long last March has arrived and now the events come thick and fast. The Winter months saw (as I'm hoping you've already read) some hard training and really getting that base fitness up. Now its time for me to put all that training into practice and hit the ground running as they say. The running continues to improve and I'm now running further and faster than ever before. I'd set myself a target of a 22 min 5 km at the start of the year and by the end of February I had got it down to 23.11!! My 10 km time was tumbling to down to 53 mins and I took 6 mins of my 12 mile TT time, down to 30 mins!! It was all starting to come together in practice and now I'm fully excited and nervous to get into it! 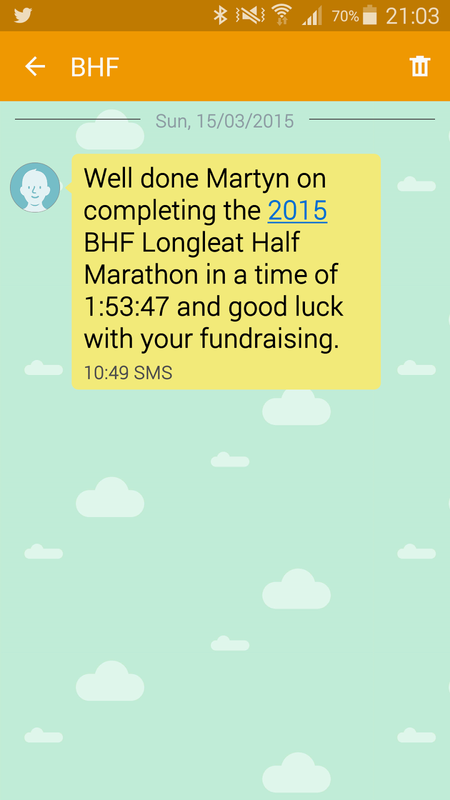 My first event of 2015 (and 3rd overall) is the Longleat Half Marathon. Now, up until very very recently I'd only ever ran 8 miles. Over the last few weeks of Winter training I built the long runs up and got as far as 9.6 miles. Which I was pleased with but I knew I had to run further. 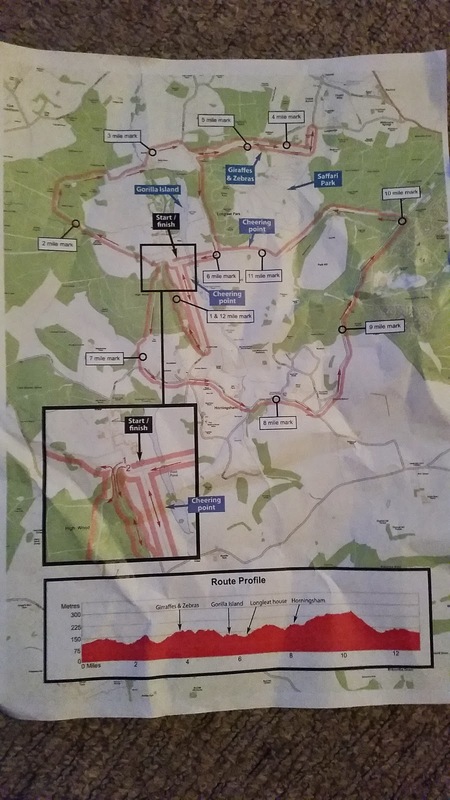 So a week ago on Sunday I took the plunge and attempted my first ever 13 mile run. I had looked at the figures from all my previous long runs and set myself the target of sub 2 hours. Stonehenge gets regular visits now! It all started incredibly well, Id planned a route and knew where I could make time and where I would lose time. The first 5 miles went without any trouble, as I expected. In fact it was all very uneventful up until mile 11. By this time I had already ran 1.4 miles more than ever before and things felt good, pace was good and i was set to bust 2 hours. Then it happened, I'm not sure what it was but it happened. My legs just died! It was like someone had removed all the muscle from my legs! No warning, no explanation, just nothing. I can honestly say the last 1.5 mile of that run was the worst 1.5 miles of my running life!! 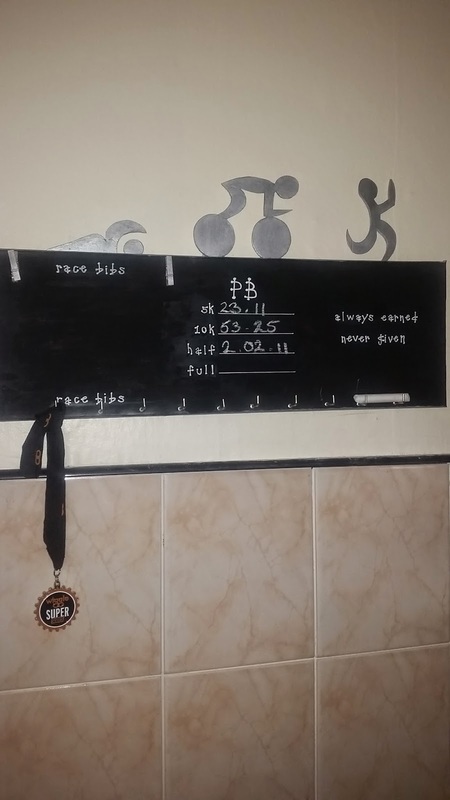 I dragged my sorry legs back home in a time of 2.02.34! One - I was absolutely gutted that id missed the 2 hour marker by a mere 2 minutes! Three - That 2 hour barrier is getting smashed in Longleat. So I was both happy and raging at the same time! But now the run was under my belt and it was the last part of my Winter training. Now was the time to concentrate on getting ready for the start of the season! Obviously I will be blogging on all my races so I'm going to keep this one short. Id just like to give a big thank you to everyone who has supported me over the last few months and hopefully more so during the season. Firstly John-Paul at www.triathlonbox.co.uk who's brilliant new triathlon invention will see the end of fighting through a bag or an old perspex box to find what you need prior to a race or during transition. Go take a look!! Trust me! Also a big thank you to www.highfive.co.uk for their continued support and quality nutrition post and during training so far. I hope to carry your support into the season too. Lastly I cannot do a thank you section without thanking my wife Georgie. She has been so understanding and supportive over the last few months and has really provided me with that extra get up and go. Without her being onside and being so supportive I would not have got to where I am today - so thank you! I love you! Don't forget that this is a Charity Challenge and I still need all of you to continue donating, sharing and supporting me on this journey. So far I have raised an incredible £770! That's all thanks to you and your incredible generosity! But please don't stop there. Share this until the end of time, text in just one more time. Remember even if its only £1 it all adds up to a massive final total. So text KOMS99 followed by your donation (£1 £2 £5 £10 etc) to 70070 it all goes into the pot and towards my final target of £2000! Also you can visit www.justgiving.com/Martyn-Seddon to donate too. Thanks again for taking some time out to have a read and even more so for taking the time to text in and raising money for such a worthy cause!